SUSUtv wins four NaSTA awards! 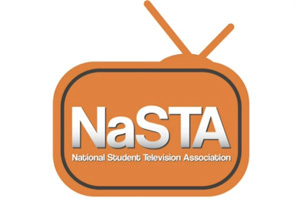 NaSTA is the National Student Television Association that support, promote and represent student television. Last weekend, SUSUtv had an incredible time at the NaSTA awards evening as it won four including three awards and a highly commended! Furthermore, Catherine Darcy, the current SUSUtv manager, has been chosen to be part of the Executive Team as NaSTA’s Development Officer for 2014/15. SUSUtv currently does an incredible job in informing and entertaining Southampton students and an even wider student audience. Not only does it film big events that SUSU holds, such as Election Night, but also puts in incredible effort in ensuring many other events held by student groups are being showcased. The diversity of the kinds of film produced and the quality of the production reflects the talents showcased by students and the skills that they acquire to use high technical equipment to produce such work. What’s best is that all the work that goes into the station is by student volunteers who are passionate about the film industry making it a student group that really deserves the awards it achieved! SUSUtv provides skills to those of all abilities and is fantastic experience for anyone who is interested in the film industry as a career or for those who enjoy it as a hobby so why not join SUSUtv or any of our media outlets such as SURGE radio or WessexScene and get involved in SUSU’s growing media zone! « Creative Industries Career Season SUCCESS!